Warning: this idea is 100% completely stolen from my good friend Tanya LeJeune!! Be sure to view her blog by clicking here!!! 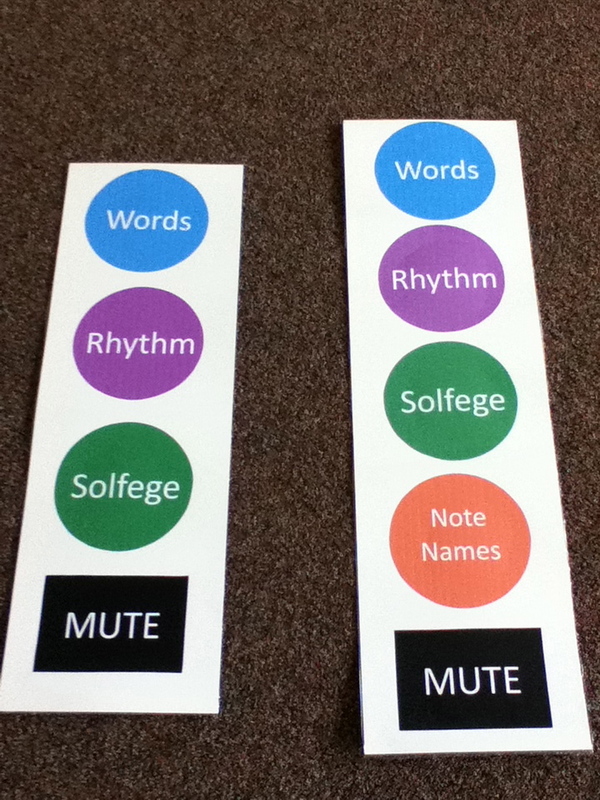 I saw Tanya present this at the Colorado State conference a number of years ago but it wasn't until this year that I finally made a formal "remote" for the game (before making these manipulatives I would simply write the words on a board). You'll notice in the picture below that there are two remotes: the one on the left I use with 1st and 2nd grades & the one on the right is used with 3rd-5th grades. This is a late practice activity and students will be most successful when they are familiar with the song(s) that this is played with. Have the practice song written on the board in stick notation with the solfege written below the rhythm and the text to the song below the solfa (similarly to the way Jill Trinka notates her songs in her books). I have the remote hanging on my magnetic board. The students read the song by performing it on each of the "channels" (the buttons- ie. they sing it on the words all the way through the song, then they sing it on the rhythm all the way through the song, then the solfa all the way through the song and then (for grades 3-5) the absolute pitch names). After that, if the game is new to the students, I explain how we are going to "channel surf"- this a concept that we are all familiar with. ;-) This means that as the song is sung I am going to have them switch from singing the song one way to another (i.e. they may sing phrase one on the words of the song and then the second phrase on solfa and so on.) I tell them which "station" they will start on and give them a starting pitch. Then, using another magnet (mine is a Fantasia Mickey Mouse that a former student gave me), I place the magnet next to the starting station and as the song is sung move the magnet to other channels as the phrases change. instead of using stick solfa, have the song written on the staff with the text below. have the song written on the staff but without the text. have them sing all of the song from memory. This one is fun to do with a song/game that the kids ask to play over and over again that they know VERY well. There is one thing that I have haven't touch on and that's the "mute" button: works just like a real mute button and is wonderful for inner hearing. I usually use it as an independent button (not in combination with other buttons), but you can do it in combination with the other buttons as a way to really challenge students. Thanks again Tanya for sharing this game!!! 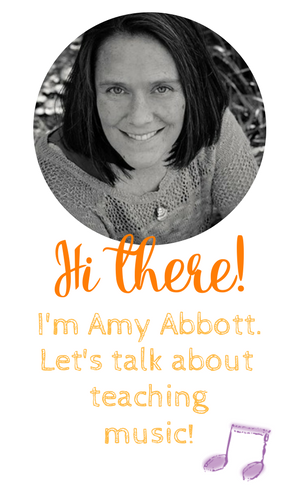 Thanks for the credit, Amy! I love your signs, great idea. I used to write the "channels" next to the song in stick notation but I'm sure having a laminated sign makes it easier to set up. At the risk of sounding like a broken record, I love doing this game with the SMART Board. I have a Remote Control template with the channels set up and I can cut and paste notation into the template.